There are many names for what we call cattle guards. A cattle guard is a grid of parallel metal bars (either square or round), usually set in the ground across a road instead of using a gate to keep cattle from wandering off of your land. 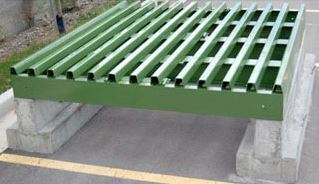 Cattle guards have been called by many names. 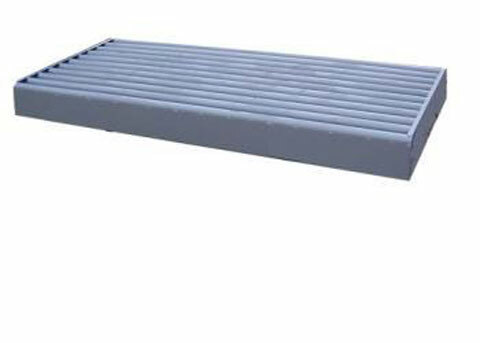 In Australia they are called either cattle grids or cattle grates. In the United Kingdom a cattle guard is known as a cattle grid. In Canada, they are called a texas gate or a vehicle pass. And we hear other names too – livestock guard, cattle grill and deer guard. In New Zealand, a cattle guard is called a cattle stop. As long as they keep your cattle from wandering away, any name will do. Barn World , the farm and ranch store, has cattle guards in a wide variety of sizes and options to match your application. Call today 720-238-2190.